PHP frameworks are mostly used for web programmers and developers. These php frameworks can help you build software applications and projects easily. PHP is a powerful and one of the most popular platform for coding language among web programmers. The most popular websites on the web are based on PHP programming language. PHP frameworks are most useful tools for web development and web application, as they are real time-savers when it comes to the design and maintenance of the PHP website. PHP framework has some useful features which help us to develop web application easily. PHP frameworks are useful tools, it comes to web development, as they save you time when making and maintenance of your PHP applications. These php frameworks save our time by removing repeated code and replace it with easy code which can be used easily without any worried. I have been finding for the great article for our users and finally have some best PHP frameworks. Every php tool plays a useful role for web designers and developers. In this post, we collected a list of 21 best free PHP frameworks 2014 which can be used to create web applications for programmers. I hope you will enjoy it! The primary goal of Aura is to provide high-quality, well-tested, standards-compliant, decoupled libraries that can be used in any codebase. This means you can use as much or as little of the project as you like. A popular tool for PHP web development. It is designed to be the most usable as possible and is definitely one of the safest one. It speaks your language and helps you to easily build better websites. Silex is a PHP microframework for PHP 5.3. It is built on the shoulders of Symfony2 and Pimple and also inspired by sinatra. 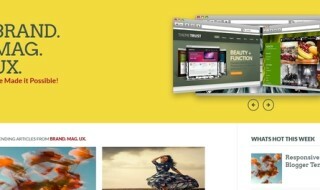 Webasyst is a suite of web apps that helps people work together in teams, collaborate, build websites and online stores. It’s an ecommerce + site building + collaboration platform packed into an ultimate suite. PHP That Doesn’t Hurt. Code Happy & Enjoy The Fresh Air. A powerful yet easy-to-use PHP micro-framework designed to help you build dynamic and robust web applications – fast! The most popular framework for modern, high-performing PHP applications. The roots of the Pop PHP Framework are traced directly to the former Moc10 PHP Library, which is now at its end-of-life, to make way for the introduction of Pop. odeIgniter is a powerful PHP framework with a very small footprint, built for PHP coders who need a simple and elegant toolkit to create full-featured web applications.